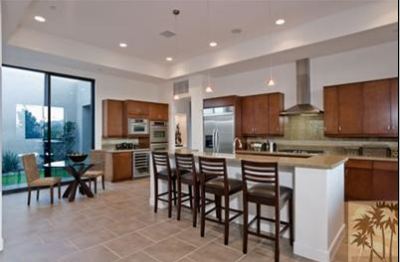 Estancias at South Canyon is a new development located in the southernmost portion of Palm Springs adjacent to the Indian Canyon Golf Course. These luxurious homes bring together the tradition of Palm Springs real estate with 21st century technology for the most in comfort and style. 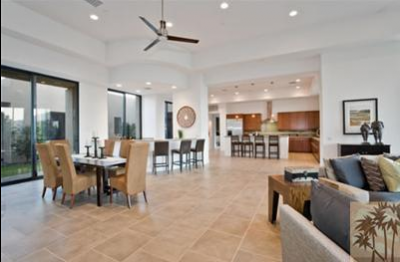 Estancias at South Canyon features four different floor plans ranging in floor space from 4,036 square feet to 4,390 square feet in the Santa Barbara Spanish style that fits right into the desert background. Homes located in the Estancias at South Canyon neighborhood come complete with state-of-the-art amenities such as an electronic management system that allows you to access and manage your home from anywhere in the world, forced air heating and central cooling, microwave, refrigerator, dishwasher, garbage disposal, and an electronic security system. This 48-home gated and guarded community offers the most luxurious and safest environment located just at the desert’s edge. Featuring 3 or more bedrooms, luxurious living and family rooms, these homes come complete with office space and a guesthouse. Whether you love family get-togethers or formal parties, the homes in Estancias at South Canyon offer everything you need from private barbecues, covered patios, and an in ground heated and filtered swimming pool and private spa. Baste in the comfort of the desert sun with an outstanding view of the San Jacinto Mountains in one of the newest pieces of prime Southern California real estate. Easy access to Palm Springs offers plenty of fun and adventure for the entire family, whether it is day trips with the family or fun in the Palm Springs nightlife. 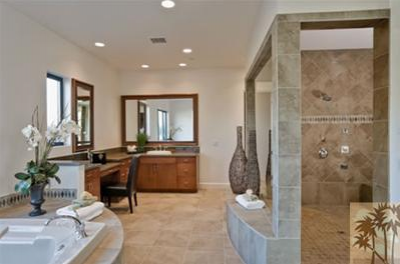 Nestled in a charming cul-de-sac, the gated community of Estancias at South Canyon is one of the newest and most modern areas of California real estate. Stylish outfitted with dazzling chandeliers, fireplaces, triples garage, and walk-in closets, these homes offer comfort and luxury. To ensure that you enjoy the breath-taking view of the desert, the floor plans include 12-foot remote-controlled walls of glass that slide out of side to bring paradise right inside your home. Are you ready for the most luxurious accommodations on the desert’s edge? Estancias at South Canyon, on the edge of the beautiful Indian Canyon Golf course offers a life filled with safety, fun, adventure, and relaxation for the entire family. This new gated community is an excellent place for families in one of the best school districts in California. If you would like to see property at the Estancias at South Canyon, please call us at the numbers below. Were committed to helping you find the home of your dreams.